To submit a creative work to for the Harvey Experience you (1) submit a submission and consent form AND (2) submit your creative work. Creative works are intended to be displayed publically, online and at the Harvey Experience Exhibition. *If the creator is under 18 years of age, a parent or guardian signature is required to have the work displayed. Anyone submitting a creative work must fill out a submission and consent form. The form can be filled out and submitted online through an electronic form, emailed, or dropped off physically. Drop off a physical form at a designated drop off location. Photography may include identification of persons. If any persons (models) are recognizable and the photo was taken in a place where a reasonable expectation of privacy is expected, the creator/submitter of the photo must provide documentation of the model(s) consent. Download Photography Release Form below and submit it to the creativity@fortbendrecovers.org email or in person at a drop off location. You can submit a creative work electronically or in person. Remember that all creative works must have a submission and consent form. See the section about submitting a form above to find out how you can submit a form. Electronic works must be submitted online by 11:59 pm on August 1, 2018. Physical submissions can be dropped off at a designated drop off location. If you have created a physical creative work and wish to submit your consent form online prior to dropping your work off, you may do so. If not, please bring a completed submission form with the creative work. Printable submission forms can be found at the bottom of this page. Creative works will not be accepted without a submission form. Performing arts creative works must first be submitted electronically before they can be considered to be performed or displayed during the Harvey Experience Exhibition. To submit electronically, the creator can (1) email the performing art directly to the creativity@fortbendrecovers.org email or (2) upload the creative work to YouTube.com and provide the link in the designated space in the electronic submission form. After the performing art has been reviewed, a Fort Bend Recovers… with Creativity representative will contact the creator to discuss performing the work during the exhibit. This is the online submission and consent form for the Harvey Experience. If you are submitting your creative work electronically, don’t forget to email it to creativity@fortbendrecovers.org. If you are submitting a physical creative work, drop it off at the current drop off location. Click on the link to find the most updated drop off locations: http://www.fortbendrecovers.org/how-to-submit/ . The deadline to submit works and forms for the Harvey Experience Exhibition is August 1, 2018. Creators can choose to submit within four (4) main categories. Examples are listed underneath each category. Creativity is not limited to these categories alone. If you have questions about submissions or categories, contact us at http://www.fortbendrecovers.org/contact-us/. Essays, song lyrics, poetry, short stories, etc. Drawings, paintings, photography, ceramics, quilting, needlepoint etc. There are no height, weight, or length requirements or limitations on creative works. However, space is limited at the exhibition venue. Overly large works may not be able to be properly displayed. 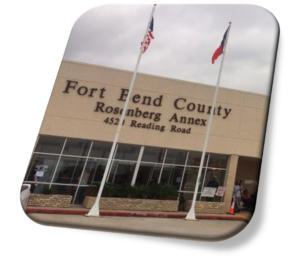 If you have concerns about the size of your work, contact us at http://www.fortbendrecovers.org/contact-us/. Performing art works are limited to a maximum of 6 minutes.